Ashlyn just wants to move on with her life. Run her bakery. Heal her broken heart. She’s had three years to try and forget Dante Fontaine. 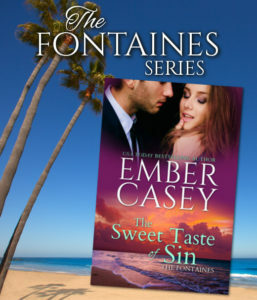 But when an accidental–and humiliating–encounter brings him back into her life, Ashlyn realizes that no matter how hard she’s tried to forget him, Dante definitely hasn’t forgotten her. …and this time, he’s not going to let her go.